I didn’t know this maker, but I found those doll really funny and kind of cute with their gigantic head and innocent face. It seems they’re on an Obitsu 23cm body. I think maybe a less skinny body would look better on them. Maybe a custom body, or a Pure Neemo one? They have two types of faces: ones with painted eyes and mouth, and ones with 3D eyes and mouth (I don’t know how to describe them). First, I have to say that I don’t collect Barbie dolls. But of course as everyone I know them, and I loved to play with those I had as a child. Now that I’m grown up and know other dolls I’m not very fond of Barbie anymore. But I still like to look at the new releases from time to time. The other day I was browsing a japanese webshop and I stuppled upon a few dolls that I like. I thought I’d share them with you here. What do you think? I like them, they’re different from regular Barbie dolls. They have more interesting faces to me. The Wicked Witch especially (on this picture anyway, I haven’t seen her for real) has a very elegant face. 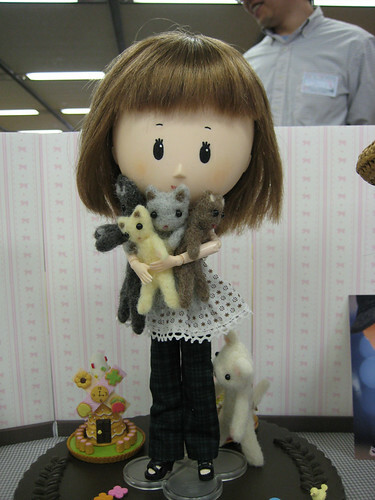 And there are many more dolls whose outfits I like. If most of the time I don’t like the whole dolls (or don’t like them enough to really care about them), I’m very fond of their outfits. 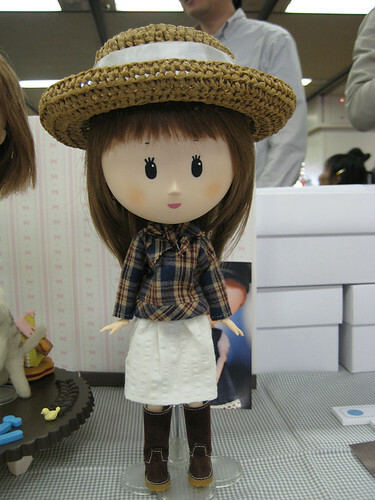 I have to recognize they can really create wonderful dresses and outfits for their collector dolls. I’m going to share one more Barbie picture before I go to bed. I’m not very fond of the doll’s face, but I really like her clothes. Not because they’re stunning, but because they are inspired by something I like: Beatrix Potter’s work. 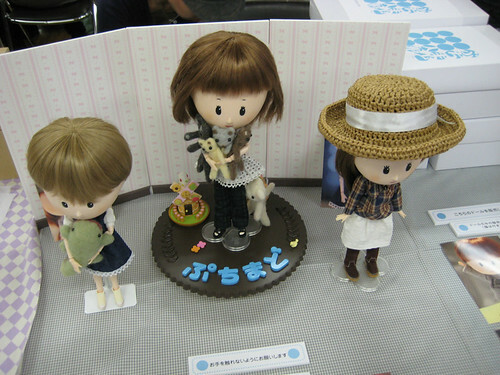 “mame Momoko” means “miniature Momoko”. I totally agree with you: they don’t look like Momoko. At all. Even not a simplified one. But somehow I got used to them and like them. I think they’re cute in their own way. Mine (I have several) are usually displayed on my bookshelf and don’t move much (I never change their clothes). I decided it was time to give them their own moment of fame. 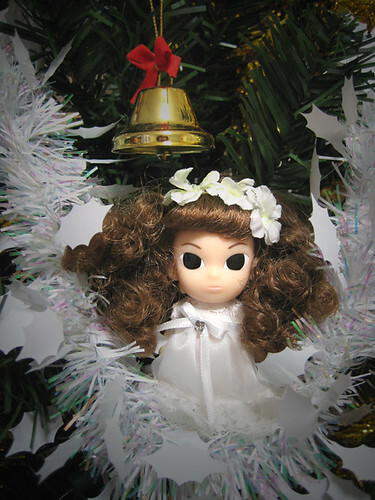 So this little one was choosen to embody an angel of winter for this week’s doll picture.